Tomorrow is Aaron’s first birthday. I cannot believe a year has gone by since I have had him, it feels more like a whirlwind than a calendar year! 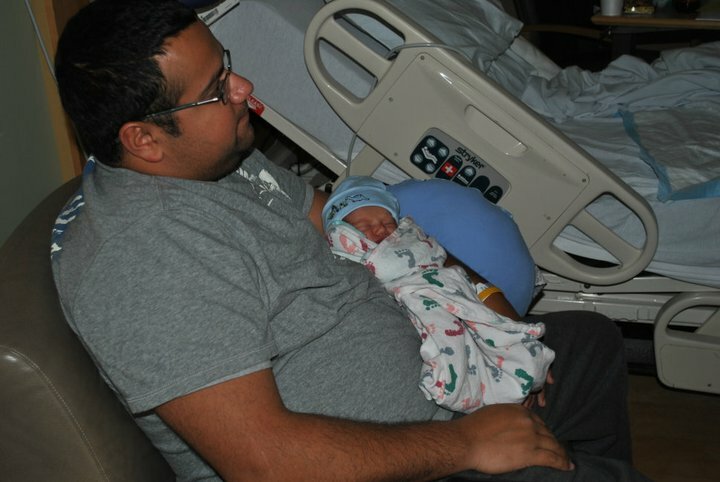 I figured it might be kind of cool to write his birth story on here that way he has something to look back on when he asks about the precious day he entered this world. False labor started about 4 weeks before he was actually due and each time I went to the OB for a checkup I was diliated a little more. At my last appointment my Dr. said I was 2cm’s dilated (or so he was telling me-we’ll get to that later). November 16th I woke up and was a little crampy-nothing out of the ordinary as I was pretty far along in my pregnancy. I got Angel dressed for pre-k since it was Thursday and Dad drove him as my “crampiness” was getting a little worse at that point. While Ayden hung out with Daddy downstairs I laid upstairs in our bed hoping water and rest would make the contractions stop…needless to say they did not. 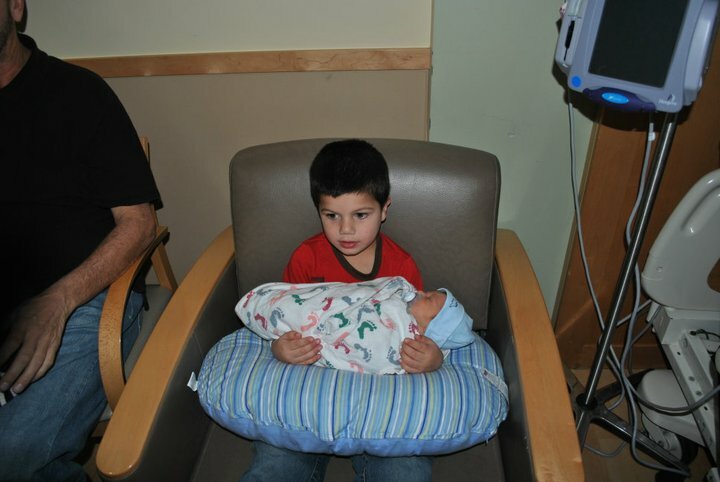 My Uncle was our planned kid watcher to come get our other two boys while I went to the hospital, had the baby, and then my aunt and uncle would bring the boys to visit his new baby brother the next day! Well let me tell you even though this was our third child my husband went into a panic the moment I hung up with my Dr’s office and they told me to head up to L&D (Labor & Delivery). He called our close family friend-Jamal as he was on his was to pick Angel up from preschool early. Luckily Jamal was able to get here in the time gap that my uncle was not! He stayed with the boys until my Uncle got here, and was able to get the boys packed up in his car. I forgot to mention that hospital bag that all mom’s are supposed to take the hospital with them and pack like 2 months before baby arrives…yea I packed that as I was in labor/having contractions that morning!! When hubby and I arrived at the hospital and told the nurses this was baby #3 they skipped triage and put me right in a delivery room! Hubby and I got situated ( meaning I got into my lovely hospital gown and he postitioned the recliner at a perfect angle to the TV). 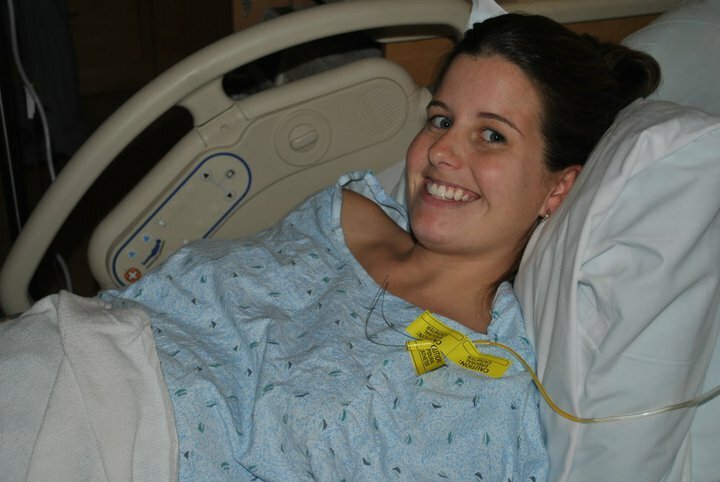 I was already 4 cm’s by the time I arrived and labor was progressing nicely…and by nicely I mean after I had the epidural I was in Heaven. Aaron’s actual birth was very calm, and peaceful. The midwife came in a checked me and said “okay time to have a baby!” I looked at my husband and looked back at me with a grin that went ear to ear. 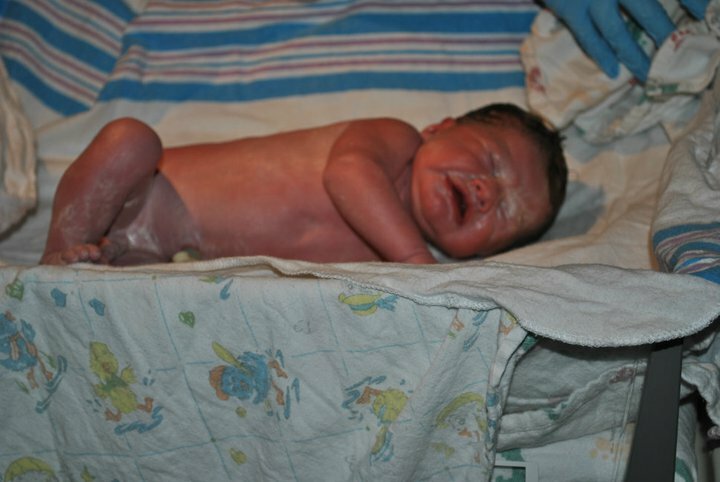 With just a few short pushes we had brought a brand new baby boy into this world! As the midwife placed him on my chest I looked at my husband and we both knew we were relieved, excited, and thankful all at the same time. Okay and now for the kicker…. Remember when I told you at my last Dr’s appointment my Dr. (whom I loved and wanted to deliver me this time as he had with our second) said I was only 2 cm’s….well about an hour after I had Aaron there was a knock on the door. Yup you guessed it, Dr. M that I had wanted to deliver me…he was on call that night for c-sections and saw my chart and wanted to see how things were going. As soon as he walked in the door he greeted us with big hugs and smiles and I told him he was about an hour too late. It was at this point in time he said, “yea I knew it was going to be soon you were close to 4 cm’s in the office last time, I just didn’t want to tell you and scare you!” Way to go Doc 🙂 Just Kidding….we still ❤ your Dr. M!! 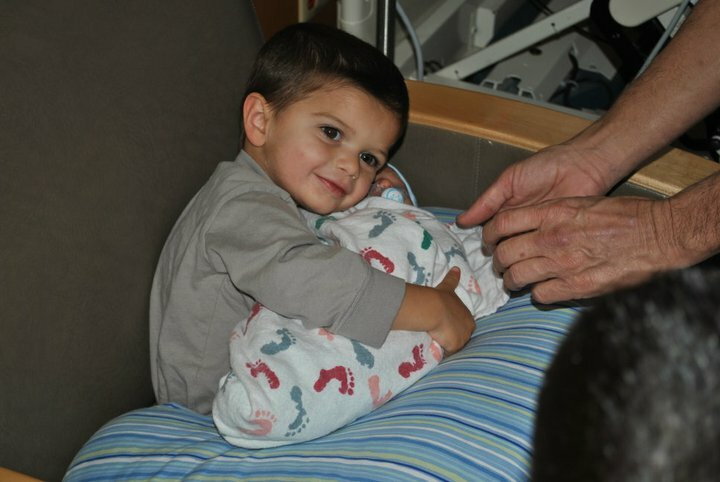 Enjoy some pics from Aaron’s Birth Day!